Researchers developed wearable robot that adds two fingers to your hand « Adafruit Industries – Makers, hackers, artists, designers and engineers! 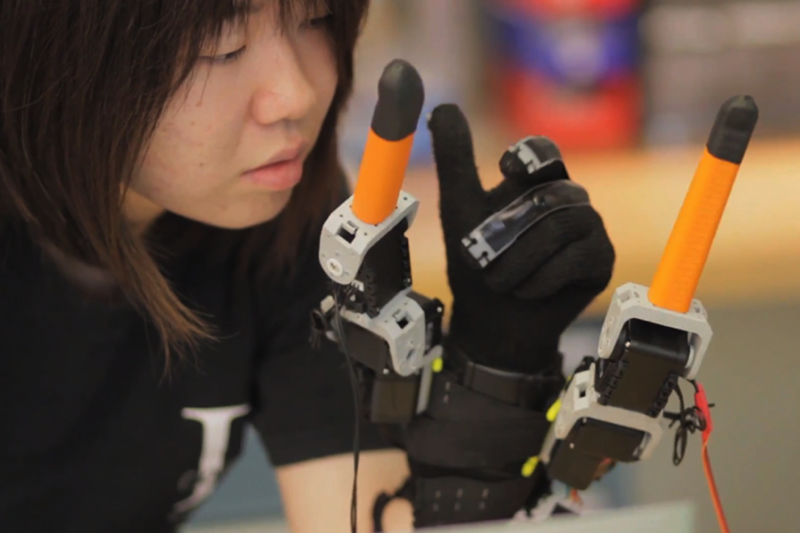 Researchers from MIT have developed a wrist-mounted wearable robot that enhances the grasping motion of the human hand. The device, worn around one’s wrist, works essentially like two extra fingers adjacent to the pinky and thumb. A novel control algorithm enables it to move in sync with the wearer’s fingers to grasp objects of various shapes and sizes. Wearing the robot, a user could use one hand to, for instance, hold the base of a bottle while twisting off its cap.